The name of God used most often in the Hebrew Bible is the Tetragrammaton YHWH (Hebrew: יהוה‎). It is frequently anglicized as Jehovah and Yahweh and written in most English editions of the Bible as "the Lord" owing to the Jewish tradition of reading it as Adonai ("My Lords") out of respect. Rabbinic Judaism describes seven names which are so holy that, once written, should not be erased: YHWH, El ("God"), Elohim ("Gods"), Eloah ("God"), Elohai or Elohei ("My God"), El Shaddai ("God Almighty"), and Tzevaot or Sabaoth ("Of Hosts"). Other names are considered mere epithets or titles reflecting different aspects of God, but chumrah sometimes dictates especial care such as the writing of "G-d" instead of "God" in English or saying Ṭēt-Vav (טו, lit. "9-6") instead of Yōd-Hē (יה, lit. "10-5" but also "Jah") for the number fifteen in Hebrew. The Tetragrammaton in Paleo-Hebrew (fl. 1100 BCE – CE 500), Aramaic (fl. 1100 BCE – CE 200), and modern Hebrew scripts. The name of God used most often in the Hebrew Bible is YHWH[n 1] (יהוה‎), also known as the Tetragrammaton (Greek for "Four-Letter Word"). Hebrew is a right-to-left abjad, so the word's letters Yōd, Hē, Vav, Hē are usually taken for consonants and expanded to Yahweh or Jehovah in English. El appears in Ugaritic, Phoenician and other 2nd and 1st millennium BCE texts both as generic "god" and as the head of the divine pantheon. In the Hebrew Bible El (Hebrew: אל‎) appears very occasionally alone (e.g. Genesis 33:20, el elohe yisrael, "El the God of Israel", and Genesis 46:3, ha'el elohe abika, "El the God of thy father"), but usually with some epithet or attribute attached (e.g. El Elyon, "Most High El", El Shaddai, "El of Shaddai", El `Olam "Everlasting El", El Hai, "Living El", El Ro'i "El my Shepherd", and El Gibbor "El of Strength"), in which cases it can be understood as the generic "god". In theophoric names such as Gabriel ("Strength of God"), Michael ("Who is like God? "), Raphael ("God's medicine"), Ariel ("God's lion"), Daniel ("God's Judgment"), Israel ("one who has struggled with God"), Immanuel ("God is with us"), and Ishmael ("God Hears"/"God Listens") it usually interpreted and translated as "God", but it is not clear whether these "el"s refer to deity in general or to the god El in particular. A common name of God in the Hebrew Bible is Elohim (Hebrew: אלהים‎ ‎‎). Despite the -im ending common to many plural nouns in Hebrew, the word Elohim when referring to God is grammatically singular, and takes a singular verb in the Hebrew Bible. The word is identical to the usual plural of el meaning gods or magistrates, and is cognate to the 'lhm found in Ugaritic, where it is used for the pantheon of Canaanite gods, the children of El and conventionally vocalized as "Elohim" although the original Ugaritic vowels are unknown. When the Hebrew Bible uses elohim not in reference to God, it is plural (for example, Exodus 20:2). There are a few other such uses in Hebrew, for example Behemoth. In Modern Hebrew, the singular word ba'alim ("owner", "lord", or "husband") looks plural, but likewise takes a singular verb. 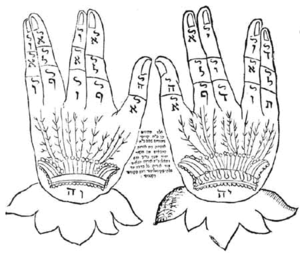 El Shaddai (Hebrew: אל שדי‎ ‎‎, pronounced [ʃaˈda.i]) is one of the names of God in Judaism, with its etymology coming from the influence of the Ugaritic religion on modern Judaism. El Shaddai is conventionally translated as "God Almighty". While the translation of El as "god" in Ugarit/Canaanite language is straightforward, the literal meaning of Shaddai is the subject of debate. Tzevaot or Sabaoth (Hebrew: צבאות‎‎, [tsvaot], lit. "Armies") appears in reference to armies or armed hosts of men in Exodus but is not used as a divine epithet in the Torah, Joshua, or Judges. In the First Book of Samuel, David uses the name YHWH Tzavaot and immediately glosses it as "the God of the armies of Israel". The same name appears in the prophets along with YHWH Elohe Tzevaot, Elohey Tzevaot, and Adonai YHWH Tzevaot. These are usually translated in the King James Version as the "Lord of Hosts" or "Lord God of Hosts". In its later uses, however, it often denotes God in His role as leader of the heavenly hosts. The abbreviated form Jah (/dʒɑː/) or Yah ( i/jɑː/; יהּ, Yahu) appears in the Psalms and Isaiah. It is a common element in Hebrew theophoric names such as Elijah and also appears in the forms yahu ("Jeremiah"), yeho ("Joshua"), and yo ("John", ultimately from the biblical "Yohanan"). It also appears 24 times in the Psalms as a part of Hallelujah ("Praise Jah"). Adonai (אֲדֹנָי‎, lit. "My Lords") is the plural form of adon ("lord") along with the first-person singular pronoun enclitic. [n 3] As with Elohim, Adonai's grammatical form is usually explained as a plural of majesty. In the Hebrew Bible, it is only used to refer to God. 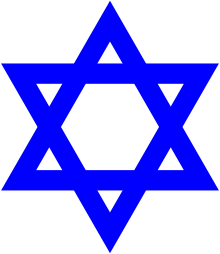 As the pronunciation of the Tetragrammaton came to be avoided in the Hellenistic period, Jews began to read "Adonai" at its appearances in scripture and to say "Adonai" in its place in prayer. Owing to the expansion of chumra (the idea of "building a fence around the Torah"), Adonai itself has come to be too holy to say for Orthodox Jews, leading to its replacement by HaShem ("The Name"). The singular forms adon and adoni ("my lord") are used in scripture as royal titles, as in the First Book of Samuel, and for distinguished persons. The Phoenicians used it as a title of Tammuz, the origin of the Greek Adonis, but it is never used in scripture to refer to God. Deuteronomy 10:17 has the proper name Yahweh alongside the superlative constructions "god[s] of gods" elōhê ha-elōhîm and "lord of lords" adōnê ha-adōnîm (כִּי יְהוָה אֱלֹֽהֵיכֶם הוּא אֱלֹהֵי הָֽאֱלֹהִים וַאֲדֹנֵי הָאֲדֹנִים ‎; KJV: "For the LORD your God is God of gods, and Lord of lords"). Up until the mid-twentieth century, the use of the word Adoshem, combining the first two syllables of "Adonai" with the last syllable of "Hashem"', was quite common. This was discouraged by Rabbi David HaLevi Segal in his commentary to the Shulchan Aruch. His rationale was that it is disrespectful to combine a Name of God with another word. It took a few centuries for the word to fall into almost complete disuse. Despite being obsolete in most circles, it is used occasionally in conversation in place of Adonai by Jews who do not wish to say Adonai but need to specify the substitution of that particular word. It is also used when quoting from the liturgy in a non-liturgical context. For example, Shlomo Carlebach performed his prayer "Shema Yisrael" with the words Shema Yisrael Adoshem Elokeinu Adoshem Eḥad instead of Shema Yisrael Adonai Eloheinu Adonai Eḥad. Ehyeh is the first-person singular imperfect form of hayah, "to be". Ehyeh is usually translated "I will be", since the imperfect tense in Hebrew denotes actions that are not yet completed (e.g. Exodus 3:12, "Certainly I will be [ehyeh] with thee."). Asher is an ambiguous pronoun which can mean, depending on context, "that", "who", "which", or "where". The name Elyon (Hebrew: עליון) occurs in combination with El, YHWH, Elohim and alone. It appears chiefly in poetic and later Biblical passages. The modern Hebrew adjective "`Elyon" means "supreme" (as in "Supreme Court") or "Most High". El Elyon has been traditionally translated into English as 'God Most High'. The Phoenicians used what appears to be a similar name for God, Έλιον. It is cognate to the Arabic `Aliyy. "The Eternal One" is increasingly used, particularly in Reform and Reconstructionist communities seeking to use gender-neutral language. It is common Jewish practice to restrict the use of the names of God to a liturgical context. In casual conversation some Jews, even when not speaking Hebrew, will call God HaShem (השם‎), which is Hebrew for "the Name" (cf. Leviticus 24:11 and Deuteronomy 28:58). Likewise, when quoting from the Tanakh or prayers, some pious Jews will replace Adonai with HaShem. For example, when making audio recordings of prayer services, HaShem will generally be substituted for Adonai. A popular expression containing this phrase is Baruch HaShem, meaning "Thank God" (literally, "Blessed be God"). Talmudic authors, ruling on the basis of Gideon's name for an altar ("YHVH-Shalom", according to Judges 6:24), write that "the name of God is 'Peace'" (Pereq ha-Shalom, Shab. 10b); consequently, a Talmudic opinion (Shabbat, 10b) asserts that one would greet another with the word shalom in order for the word to not be forgotten in the exile. But one is not permitted to greet another with the word shalom in unholy places such as a bathroom, because of holiness of the name. Furthermore, in Arabic same thing "Shalam- Salam -سَلام" which means 'Peace". Shekhinah (Hebrew: שכינה ‎‎) is the presence or manifestation of God which has descended to "dwell" among humanity. The term never appears in the Hebrew Bible; later rabbis used the word when speaking of God dwelling either in the Tabernacle or amongst the people of Israel. The root of the word means "dwelling". Of the principal names of God, it is the only one that is of the feminine gender in Hebrew grammar. Some believe that this was the name of a female counterpart of God, but this is unlikely as the name is always mentioned in conjunction with an article (e.g. : "the Shekhina descended and dwelt among them" or "He removed Himself and His Shekhina from their midst"). This kind of usage does not occur in Semitic languages in conjunction with proper names. Avinu Malkeinu – "Our Father, Our King"
El ha-Gibbor – "God the Hero" or "God the Strong" or "God the Warrior"
HaKadosh, Barukh Hu (Hebrew); Kudsha, Brikh Hu (Aramaic); تبارک القدوس (Arabic) – "The Holy One, Blessed Be He"
Melech HaMelachim–"The King of Kings" or Melech Malchei HaMelachim "The King, King of Kings", to express superiority to the earthly rulers title. Melech HaOlam–"The King of the World"
Ribono shel'Olam – "Master of the World"
One of the most important names is that of the Ein Sof (אין סוף "Endless"), which first came into use after CE 1300. The forty-two-lettered name contains the combined names אהיה יהוה אדוני הויה, that when spelled out contains 42 letters. The equivalent in value of YHWH (spelled הא יוד הא וו = 45) is the forty-five-lettered name. The words "God" and "Lord" are written by some Jews as "G-d" and "L-rd" as a way of avoiding writing any name of God in full out of respect. Deuteronomy 12:3–4 reads, "And ye shall overthrow their altars, and break their pillars, and burn their groves with fire; and ye shall hew down the graven images of their gods, and destroy the names of them out of that place. Ye shall not do so unto the Lord your God." From this it is understood that one should not erase or blot out the name of God. The general halachic opinion is that this only applies to the sacred Hebrew names of God, but not to other euphemistic references; there is a dispute whether the word "God" in English or other languages may be erased. ↑ The Tetragrammaton is also sometimes transcribed as YHVH or JHVH. ↑ The World English Bible translation: "Behold, Boaz came from Bethlehem, and said to the reapers, "Yahweh be with you." They answered him, "Yahweh bless you." The book is traditionally ascribed to the prophet Samuel who lived in the 11th & 10th centuries BCE. A date of the 6th or 5th century BCE for the passage is, however, more common among subscribers to the Documentary Hypothesis regarding the development of the biblical canon. ↑ Gesenius: "124i Further, אֲדֹנִים‎, as well as the singular אָדוֹן‎, (lordship) lord, e.g. אֲדֹנִים קָשֶׁה‎ a cruel lord, Is 194; אֲדֹנֵי הָאָ֫רֶץ‎ the lord of the land, Gn 4230, cf. Gn 3219; so especially with the suffixes of the 2nd and 3rd persons אֲדֹנֶ֫יךָ, אֲדֹנַ֫יִךְ‎ ψ 4512, אֲדֹנָיו‎, &c., also אֲדֹנֵ֫ינוּ‎ (except 1 S 1616); but in 1st sing. always אֲדֹנִי. So also בְּעָלִים‎ (with suffixes) lord, master (of slaves, cattle, or inanimate things; but in the sense of maritus, always in the singular), e.g. בְּעָלָיו‎ Ex 2129, Is 13, &c."
↑ The American pronunciation is usually the same but some speakers prefer variants closer to the original sound, such as /bɑːˈɑːl/ or /ˈbɑːl/. ↑ The half ring ⟨ ʿ ⟩ or apostrophe ⟨ ' ⟩ in the name Baʿal marks the original words' glottal stop, a vocalization which appears in the middle of the English word "uh-oh". ↑ EJ (2005), p. 179. ↑ Rich, Tracey R. (1996), "The Name of G-d", Judaism 101, retrieved 31 Aug 2015 . 1 2 Translated by Eliyahu Touger. "Maimonides, ''Mishneh Torah''. Sefer Madda, Yesodei ha-Torah 6:2". Chabad.org. Retrieved 2014-05-21. ↑ Rabbi Jose, Soferim, 4:1, Yer. R.H., 1:1; Ab. R.N., 34. ↑ Rabbi Ishmael, Sanh., 66a. ↑ Byrne, Máire (2011), The Names of God in Judaism, Christianity, and Islam: A Basis for Interfaith Dialogue, A&C Black, p. 24 . ↑ Harris, Stephen L. (1985), Understanding the Bible: A Reader's Introduction, 2nd ed., Palo Alto: Mayfield, p. 21 . ↑ Gordon, Nehemia, "The Pronunciation of the Name" (PDF), The Karaite Korner, retrieved 5 June 2015 . ↑ "The Tetragrammaton—The Unpronounceable Four-Letter Name of God", My Jewish Learning, retrieved 17 September 2014 . ↑ "Hebrew Name for God—Adonai", Hebrew for Christians, retrieved 21 May 2014 . ↑ Origen, Commentary on Psalms 2:2. ↑ K. van der Toorn, Bob Becking, Pieter Willem van der Horst, "Dictionary of deities and demons in the Bible", pp.274-277. Books.google.com.au. Retrieved 2011-12-05. ↑ K. van der Toorn, Bob Becking, Pieter Willem van der Horst, "Dictionary of deities and demons in the Bible", pp.277-279. Books.google.com.au. Retrieved 2011-12-05. ↑ Mark S. Smith (2008). God in Translation: Deities in Cross-Cultural Discourse in the Biblical World. Coronet Books Incorporated. p. 15. Retrieved 2011-12-05. ↑ Exod. 6:26, 7:4, 12:41. ↑ Oxford English Dictionary, 1st ed. "Jah, n." Oxford University Press (Oxford), 1900. ↑ Is. 12:2, 26:4, & 38:11. ↑ "Lord", International Standard Bible Encyclopedia, p. 157 . ↑ "Adonai and Adoni (Psalm 110:1)", Focus on the Kingdom, Restoration Fellowship, retrieved 5 June 2015 . ↑ Oxford Dictionaries (2015), "Baal"
1 2 Merriam-Webster Online (2015), "baal". ↑ Cleghorn & al. (2011), p. 87. ↑ Herrmann (1999), p. 132. ↑ DULAT (2015), "bʕl (II)". 1 2 BEWR (2006), "Baal". 1 2 Encyclopaedia Judaica, 2nd ed., Vol. VII, p. 675 . ↑ Uittenbogaard, Arie, Ishi | The amazing name Ishi : meaning and etymology, Abarim Publications, retrieved 21 May 2014 . ↑ New World Translation of the Holy Scriptures, Watchtower Bible and Tract Society of New York, Inc. Exodus 3:14 footnote, "Exodus 3:14 NWT". ↑ The Divine Name in the Hebrew Scriptures "NWT 2013 Appendix A". ↑ "Exodus 3:14 LXX". Bibledatabase.net. Retrieved 2014-05-21. ↑ Matthew Berke, GOD AND GENDER IN JUDAISM, First Things, June 1995; Mel Scult, The Radical American Judaism of Mordecai M. Kaplan, Indiana University Press, 2013. p. 195. ↑ A name for God that simply means "the Name." ↑ Greenbaum, Elisha. "Thank G-d!". Chabad.org. Retrieved 15 February 2015. ↑ Encyclopaedia Judaica, 2nd ed., Vol. VI, Keter Publishing House, p. 232 . ↑ "Shaimos guidelines". Shaimos.org. Retrieved 2011-12-05. R. Clover. "The Sacred Name Yahweh" (PDF). Qadesh La Yahweh Press. Archived from the original (PDF) on June 15, 2007.